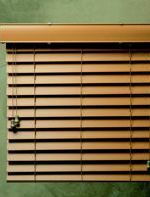 Blinds, Shades, Shutters, Shadings, and Panel Tracks. Our aluminum horizontal blinds are the sleek, versatile solution for your window coverings. 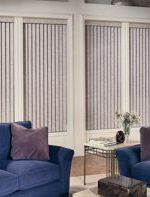 These popular blinds give you flexible control over the amount of light entering a room. You’ll have the option to go from complete privacy to full view at any window. 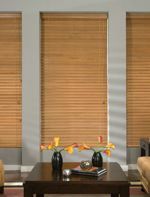 Horizontal blinds add a clean, contemporary touch to any decor. Make a dramatic and distinctive statement with the clean, bold style of Vista vertical blinds. 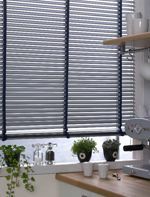 Our vertical blinds rotate easily for light and thermal control, and stack neatly when drawn open. Choose from a wide variety of PVC or fabric styles and colors to create a window treatment that will be a functional and beautiful addition to your new home. We’ve designed a variety of fauxwood looks to meet your special needs while still projecting a homey, natural look. They are ideal for high wear, high moisture areas, or any place that requires special attention. The blinds are precision cut from the finest grade A basswood and hardwoods that are finely grained, extremely stable and hard but light in weight. Featuring Southeast Woods and Vista Woods.